An executive of 13 members has been installed to henceforth manage the activities the 18 year old Bokova, Bonakanda, Bova Area Development Association, BONAVADA. 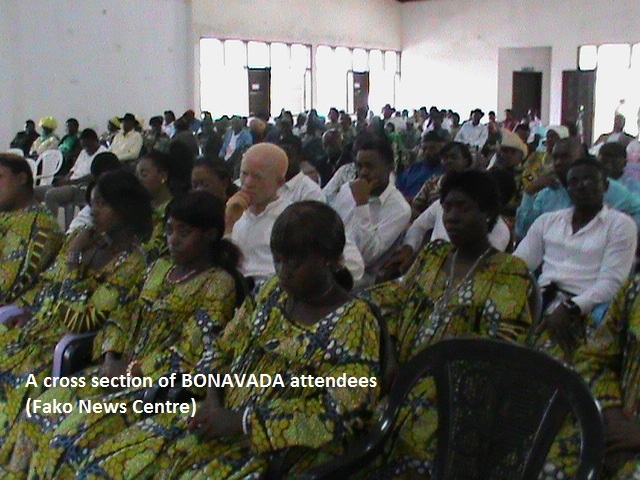 The Divisional Officer of Buea and members of the BONAVADA Chiefs Conference installed the new executive on Saturday July 13, 2013, at the Bokova Community Hall. 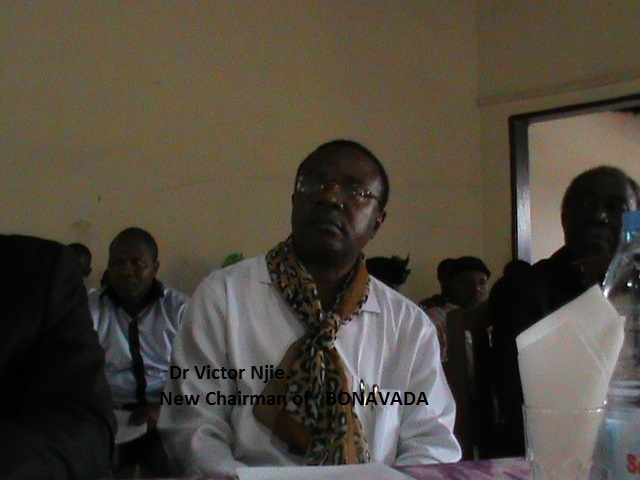 Addressing members of the BONAVADA Community during the ceremony, the new chairman of the association Dr Victor Mbome Njie, prayed all members to throw their weight behind them to revive BONAVADA to its past glories. He pointed out that community development should be every one’s concern. He explained that it is only by maximising their material and human resources that they can realise the set goals of the BONAVADA community. He however thanked members of the BONAVADA Chiefs conference for taking the decision to constitute the new executive without respecting the constitution. According to the BONAVADA constitution, general elections are expected to hold every three years. This has not been the case since Mola Mu’umbe took office in 2005. Efforts to organise elections in 2008 failed due to poor attendance at meetings. 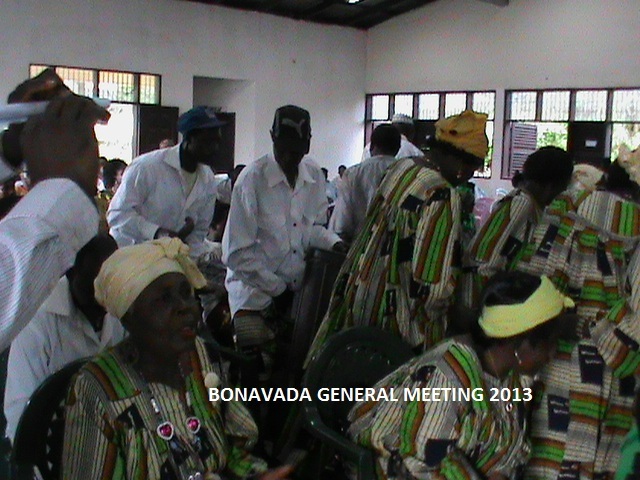 The same situation repeated in 2009 and during a General Assembly meeting on July10, 2010, Mola Mu’umbe and a team of nine was voted by acclamation to manage the affairs of BONAVADA. This did not go down well with some members of the community. As a result, there were calls for a new executive to be put in place. While pointing out what members of the new executive should focus on, the outgoing chairman, Mola Mu’umbe, called on them to place more emphasis in sustaining the BONAVADA Water Project. He explained that this is one of the objectives that brought these villages together and therefore to keep them together; it should be ensured that they have potable water. He added that a re-organisation of the oganisation be done at the level of respective villages to facilitate the dissemination of information to the grassroots. Many choral and traditional dance groups participated during the occasion.